See How Close Disneyland Is! At under half a block away from Disneyland, you can experience the magic of Disneyland even after you leave the park. 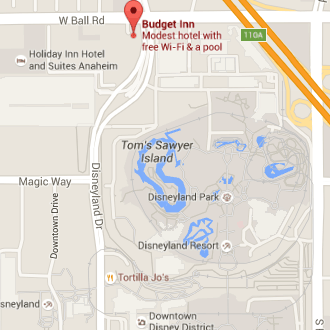 Get cheap rates while staying right next to Disney in Anaheim. 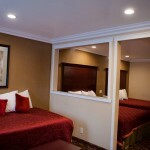 We offer premium rooms at a fraction of what other hotels charge. 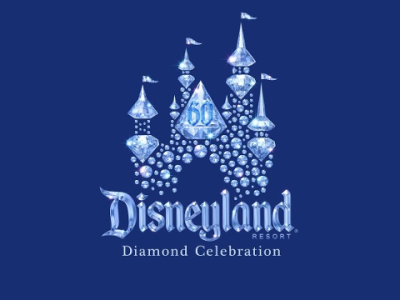 Our prices beat any Disneyland area hotel, compare our prices to Travelodge, Best Western, or Holiday Inn! Relax in our fully furnished rooms with a 42″ flat-screen LED TV, microwave, refrigerator, hairdryer, iron, Free High-Speed Internet, Free Parking, and coffee and pastries in the morning. Excellent location. Friendly manager. Clean rooms and bathroom. Free WIFI. Felt happy here. Decided to stay here longer. You can walk to Disneyland from here. The hotel you can tell has been updated. The location doesn’t get more convenient to Disneyland. The walk to Disneyland only takes a few minutes. The room was very nice, cleaner than some of the hotels close by. The staff was very friendly and accommodating of our needs. Parking was super easy and plentiful. I accidentally reserved the hotel for a week before our visit. Per their policy I was charged a cancellation cost for not showing up on our date. But all was not lost!!! I gave the hotel a call and the people were very friendly and happy to help. I was able to get my reservation straightened out for the correct week and the owner even refunded me the cancellation cost! Thanks for helping me out and making our trip to Disneyland more enjoyable and affordable. Also, a special thanks to Richard.